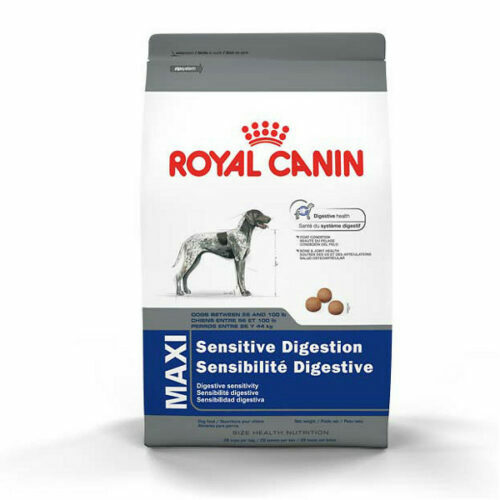 Tummy troubles are a common problem in large breeds but Royal Canin’s ready to help! Maxi Sensitive Digestion Dry Dog Food is made with easy-to-digest, high-quality protein and keeps intestinal flora levels balanced to boost the GI tract and keep your pet’s stool firm. Perfect for large-breed adult dogs between 56 and 100 pounds.